How many items in your wardrobe do you never wear? Is there pointless paperwork lurking beneath your desk? Do you have social media “friends” who no longer bring you joy? 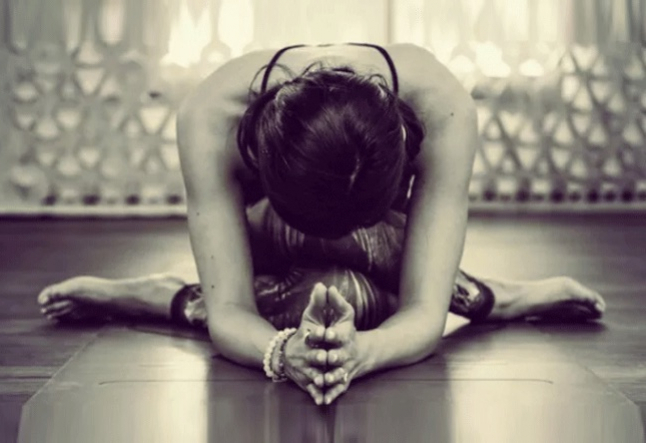 In this way Yin Yoga creates a space to surrender inhibiting mind patterns. As the fascia is released so are the psychological traumas it contains. This is why certain poses can bring a surge of emotion as stored energies are unblocked and let go. And without those thought patterns, we can discover the core of who we are. Not who we were, not who we will be but the ever changing kaleidoscope of your present and beautiful self, right now. And then we will no longer need to cling to the out-dated possessions, people,A or mind. Because right there on that mat, in the stillness and peace, we will remember that we are enough. We will always be enough. Trust yourself. You are more complete than you know. Within you is a power beyond your wildest dreams. And your true nature is unconditionally happy and at peace. Perhaps you forgot this. But don’t worry, Yin Yoga will help you to recall.